Four new phones on the way, or is that two? Nokia may be readying four new Windows Phone 8 handsets for MWC 2013 in Barcelona next week, according to a Windows Phone 8 developer tweeting as @ailon. We know Nokia has something up its sleeve for the event, but the Finnish firm hasn't given us any clues as to what it might be. However according to @ailon (real name Alan Mendelevich), logs for US carrier Verizon have revealed four new handsets could be on the radar: "I see Nokia RM-914 (Lumia 520), RM-885 (Lumia 720), RM-887(?) and RM-860(?) on Verizon in our logs. 3-4 new phones at #MWC13?" Details on the Nokia Lumia 520 and Lumia 720 have already started doing the rounds, with the Lumia 520 expected to enter the market at the budget end with a 4-inch display, 1GHz dual-core processor, 512MB of RAM, 8GB internal storage and 5MP camera. 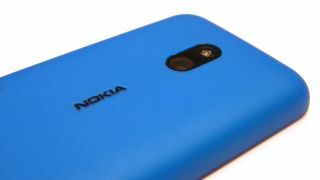 While the 520 will slide in under the Nokia Lumia 620, the Lumia 720 is expected to bridge the gap between that and the Lumia 820. Reports suggest the Lumia 720 will sport a larger 4.3-inch display, the same processor, RAM and internal storage as the Lumia 520, with a 6MP camera round the back and a 2MP front-facing snapper, although it's not clear where these details have come from. The RM-887 and RM-860 models are less clear cut. With no further details emerging for either device, some people believe that these may be variants of current handsets instead of being brand new phones. There are rumours that Nokia is also prepping a flagship device, going by the codename Eos, which will feature the firm's 41MP camera which can be found on the 808 Pureview. We'll be out in force at MWC 2013 next week to bring you all the latest from the show, so keep your eyes peeled for all the news from Nokia.